Of course, I am biased towards jewelry but I believe the room in that exhibit titled “Cabinet of Curiosities,” that included many of Shaun Leane’s creations with McQueen, was the most exceptional of the landmark show. “Shaun captures the feeling of my work and the aesthetic of the time we live in…full of structure and finesse, crafted to perfection,” Alexander McQueen once said of his great friend. Other pieces from Shaun’s archive in the sale include examples of his fine jewelry that are like something from a fairy tale including the Thistle brooch Sarah Jessica Parker wore to the MET Ball in 2006 and the Contra Mundum Evening Glove commissioned by Daphne Guinness. The collection will be on view at Sotheby’s in New York beginning November 30, 2017. The sale in association with Kerry Taylor Auctions will take place on December 4. The lots range in price from $2,000 to $400,000. 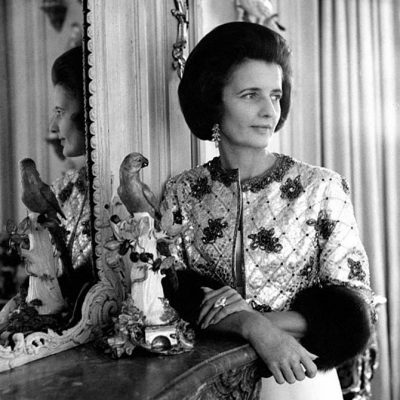 See select pieces below with the backstory from Sotheby’s. According to Sotheby’s: Exhibited at The Metropolitan Museum of Art’s Costume Institute in 2011, the Coiled Corset is one of the most powerful examples of the designers’ creative collaboration. The stunning corset was debuted in McQueen’s Autumn/Winter runway show in 1999, which was inspired by the cult film, ‘The Shining’. 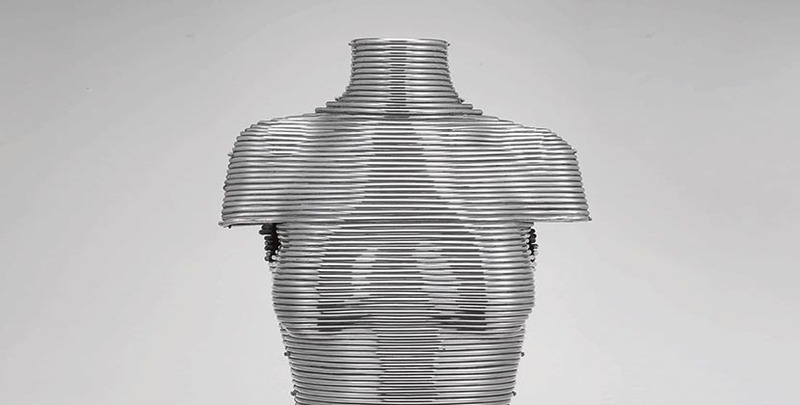 Comprised of 97 aluminium coils bent to match the shape of McQueen’s fit model at the time, the corset is engraved on the rear right hip with the names ‘Shaun Leane’ above ‘Alexander McQueen 99’, and is the only piece in existence that is signed and dated by both designers—a telling attribute of the late designer’s enthusiasm for this particular piece. 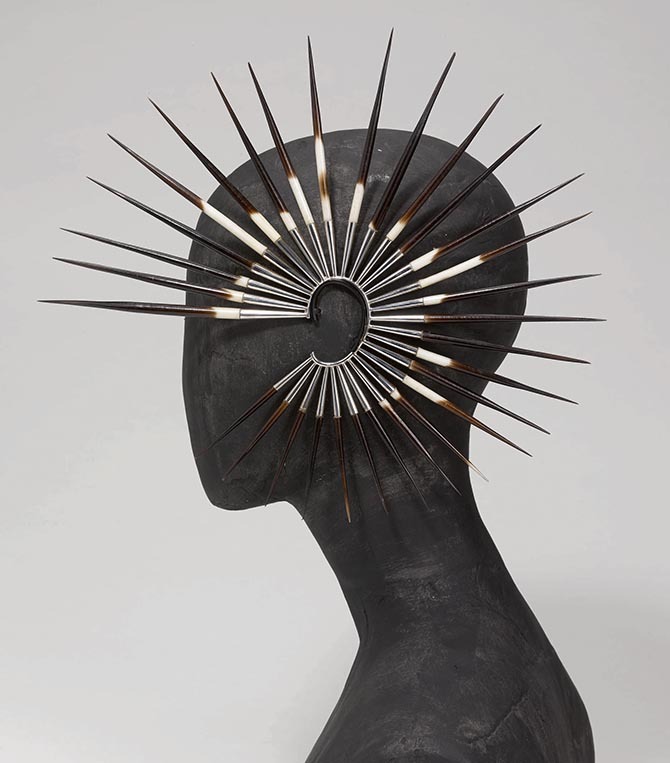 According to Sotheby’s: Purchased during a trip to South Africa in 1995, the porcupine quills used in the earrings were acquired by Leane for his personal cabinet of curiosities, knowing he would one day find a special use for them. Nearly a decade later, Leane combined their elegance and delicacy with silver to form the striking earrings, which debuted on McQueen’s Spring/Summer runway in 2003. Among Leane’s favorite pieces, the curved ear-loops toy with the idea of how the ear should be decorated, as evidence by their encircling and framing detail. 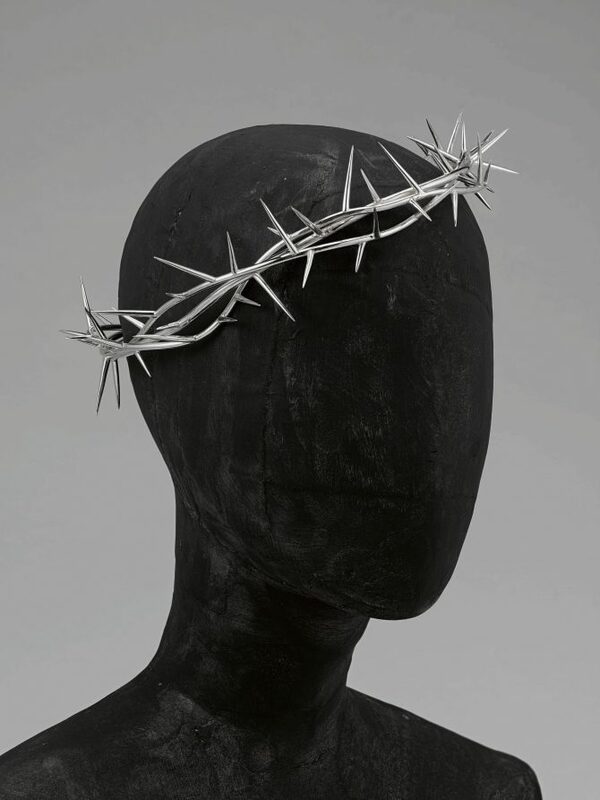 According to Sotheby’s: The Crown of Thorns circlet reflects the gripping religious symbolism depicted in many of Leane’s pieces for McQueen. Daphne Guinness wearing the Contra Mundum Evening Glove of 18K white gold and diamonds during the preview party for the piece in 2011. Photo Rachel Chandler via Vogue. Perhaps the most exceptional piece of fine jewelry in the sale is the Contra Mundum Evening Glove executed in collaboration with Daphne Guinness. Sotheby’s estimate for the piece is $300,000 to $400,000. The design of 18K gold and diamonds was a reflection of Guinness’ fascination with knights and armor. 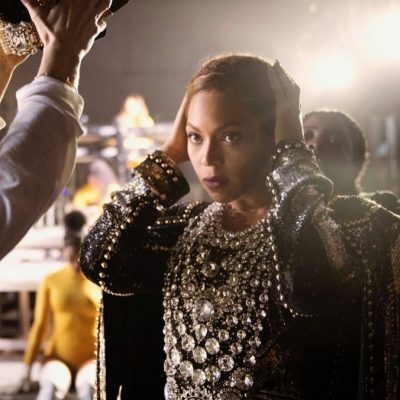 The debut party for the jewel on July 1, 2011 was reviewed by Vogue and any number of other publications. It was also worn by Lady Gaga on the cover of V Magazine last year.